After our weekend away to New Orleans, LA, we had just a few short days back in Texas before we headed out on our big summer vacay in Utah. We generally visit either Utah or California and sometimes both during the summers, because that's where our families live. But now since we were moving to California, Utah was the first stop this summer. 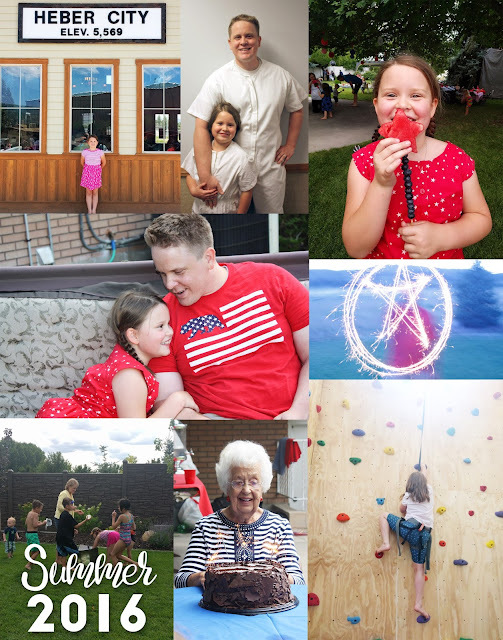 We celebrated so many big milestones and made memories every minute. It was one of the best summers I have ever had. After our 3 weeks in Utah, we headed back to Texas for a few short days. Just long enough to let the packers and movers collect our belongings and say a few good-byes. One of the best parts of our faith, is the worldwide connections. In every place we have lived, we have known somebody. Or somebody who knows somebody we know. It's like the 5 degrees of Kevin Bacon, but usually less than five to find a connection. The tears didn't really hit until a few days after we arrived in California. I did love Texas. Not all of it, but so much of it. But like every place we leave, it's the people we miss the most. I'm grateful to be finally settling in. I'm still currently swimming in brown paper and boxes. Slowly but surely, the house is coming together and I'm getting my craft room back in order. I'm excited for this next chapter in our lives. Stick around to see fun new things coming!